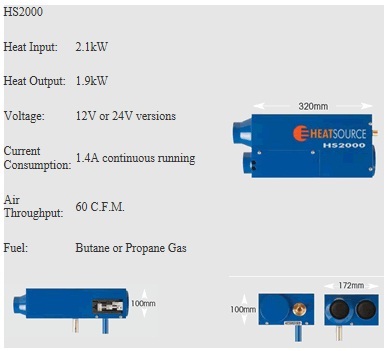 The Heatsource HS2000 is a powerful forced air heater with a very low electrical current consumption. It has an electronic thermostat control and is extremely quiet when in operation. 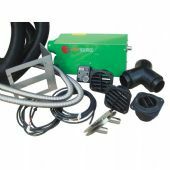 The heater comes with Stainless Steel mounting brackets, flue pipe and heat exchanger. 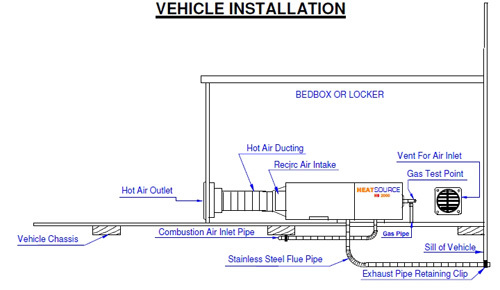 The Heatsource 2000 is controlled using a wall mounted solid-state electronic thermostat. When the room temperature drops below the selected level, the Heatsource 2000 will automatically ignite and run until the cabin has reached the required temperature. 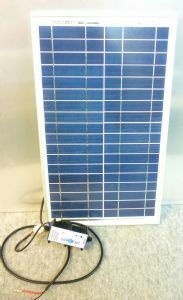 The Heatsource 2000 has a 1.9kw output which will suit small to medium sized vehicles. 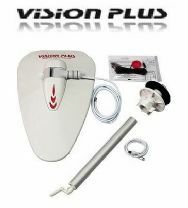 With the heater on continuous cycle it will run on a Butane 4.5Kg cylinder for 31.7 hours. Dimensions: 320x172x100mm approx.